Start, stop, play and do more with Voice Recorder shortcuts. 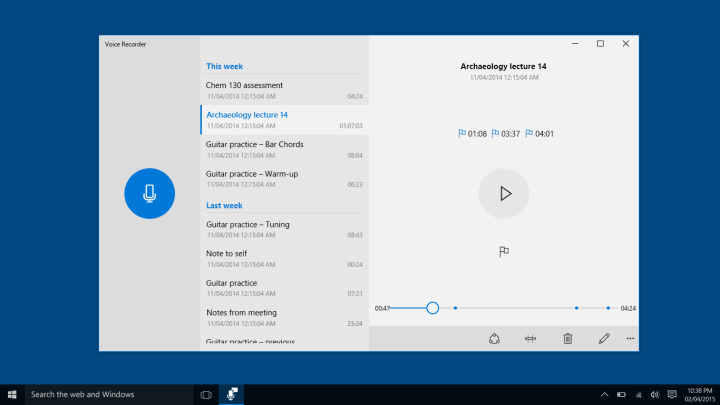 Windows 10 has a handy sound recorder which allows to create your own recordings via microphone. It records a .m4a file which then you can share. What is your favorite Windows Voice Recorder hotkey? Do you have any useful tips for program? Let other users know below.